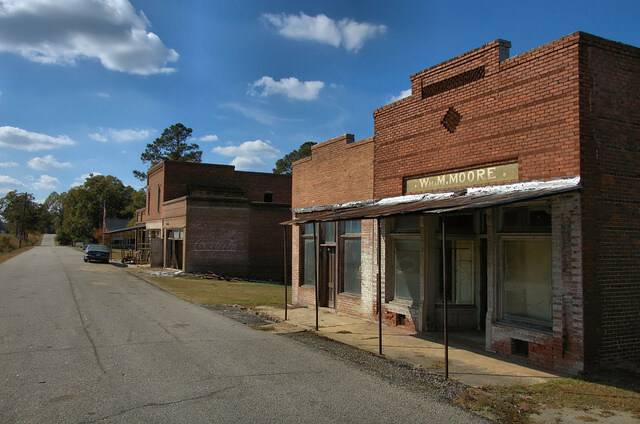 These and a few other buildings on Railroad Street are all that remain of the commercial heart of Camak. 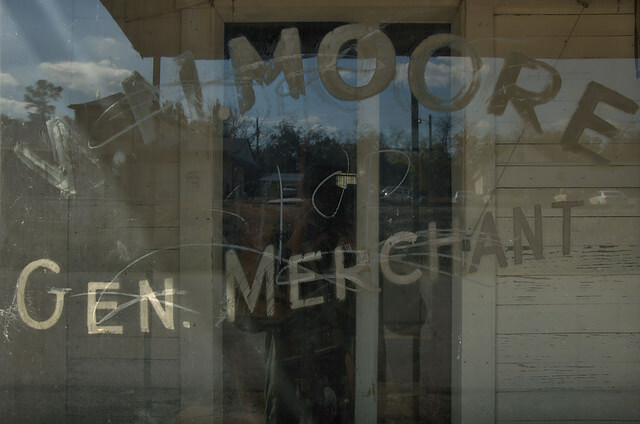 The railroad still stops here, but the town’s heyday is long past. 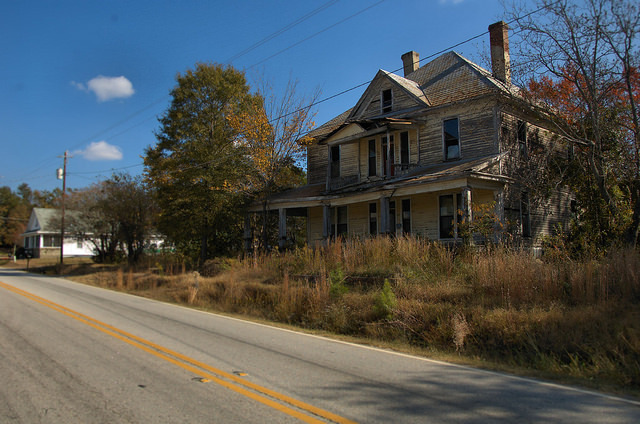 It’s hard to miss this once-grand old mansion as you approach Camak from Warrenton. 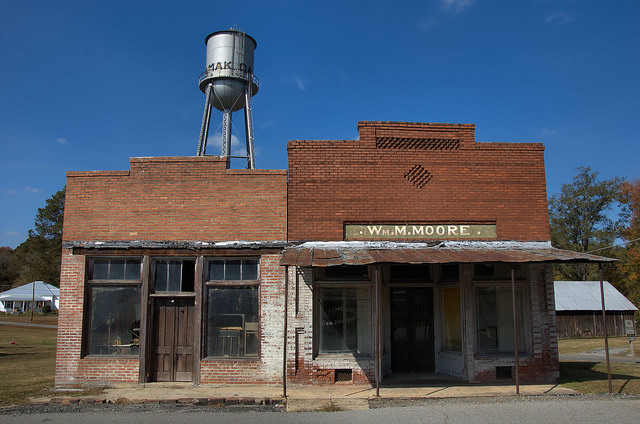 It’s been a symbol of the town for over a century, but it’s days appear to be numbered. 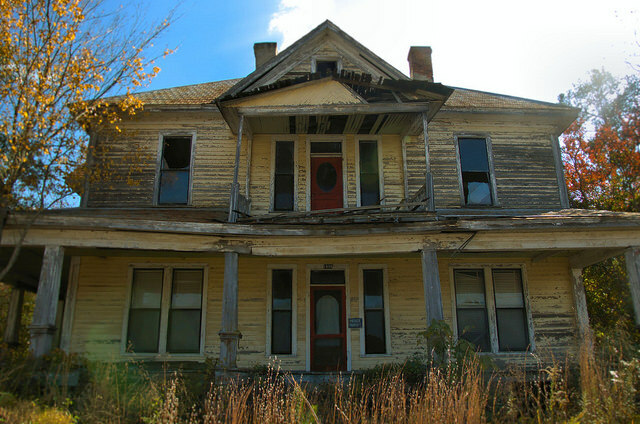 It was home to the Chapman family for many years, and in its early days, the second floor was used as a boarding house for railroad men. Update: As of 2017, I understand the Chapman House is being restored. I hope to post an “after” photo in the future.